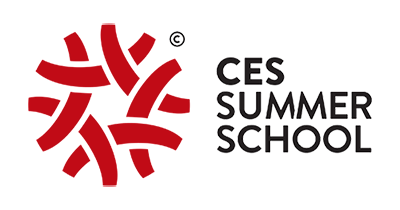 First European Summer School on Solidarity Economy: Is it possible to foster a common agenda for Solidarity Economy in Europe? 14:00 to 16:30 - Session 1. The Solidarity Economy in Europe: an overview (Jean-Louis Laville). This opening conference aims to outline the European framework of Solidarity Economy, presenting common points and particularities between different countries. It is a session that raises some of the issues to be addressed in the following days. 16:45 to 19:00 - Round Table on Solidarity Economy in Latin America and Africa. Coordination of Aline Mendonça and Rogério Roque Amaro. Given the relevance of Solidarity Economy outside Europe, this roundtable discusses the particular situation of public policies of Solidarity Economy in Brazil, a country where it has achieved high institutional recognition, as well as the emergence of initiatives of Solidarity Economy led by women in several African countries. It is a table joining together researchers and activists in a debate on the relationships between social movements Solidarity Economy initiatives and support entities. 13:30 to 16:00 - Session 2. The Solidary Economy and the relationship with the other economies (Pedro Hespanha and Luciane Lucas dos Santos). This session seeks to contextualize the Solidarity Economy in the scope of Other Economies, showing points of contact, synergy, and difference between them. It problematizes the concept of SE in the European context, as well as the pertinence of the categories usually accepted in Latin America. Taking into account the various local and community experiences with which SE can dialogue in the European case, this session starts from the premise that an epistemological enlargement is not only necessary but urgent. 13:30 to 16:00 - Session 3. Solidarity Economy and democratic participation (Rogério Roque Amaro and Giovanni Allegretti). This session discusses the political dimension of Solidarity Economy in the European context. It proposes a reflection on the meaning, effectiveness, quality, and limits of participation in self-management processes. It also discusses processes and methods from which a more participatory democracy can be reinforced. 13:30 to 16:00 - Session 4. Women in Solidarity Economy (Lina Coelho and Luciane Lucas dos Santos). This session is intended to discuss two main dimensions. The first has to do with the central place of women in the family economy and how this is a particular form of solidarity economy that needs to be addressed and questioned. The second relates to the enlargement of the concept of solidarity economy through a feminist and postcolonial approach to women’s economic practices. 9:00 to 12:00 - Round Table on Solidarity Economy in Portugal. Coordination of Andrés Spognardi and Eber Quiñonez. 13:30 to 16:00 - Session 5. The Solidarity Economy from the Perspective of Governance (Lars Hulgard and Sílvia Ferreira). This session discusses the relative institutional invisibility of the Solidarity Economy in Europe and its relation with welfare policies. It problematizes the balance between solidarity economy social innovations and social welfare policies arguing for a new type of institutional reciprocal welfare state. This closing conference aims to raise questions from a synthesis of the main points addressed during the Summer School.